Use the materials as a starting point, and engage your teen in the conversation. Make it a dialogue rather than a one-sided lecture. You can also get involved in Teen Driver Safety Week events in your community and at your child’s school. Share the materials from the NHTSA website with other parents, your child’s school, and your community. Contact local businesses or organizations that hold teen activities to let them know where to access the banners and other downloads. 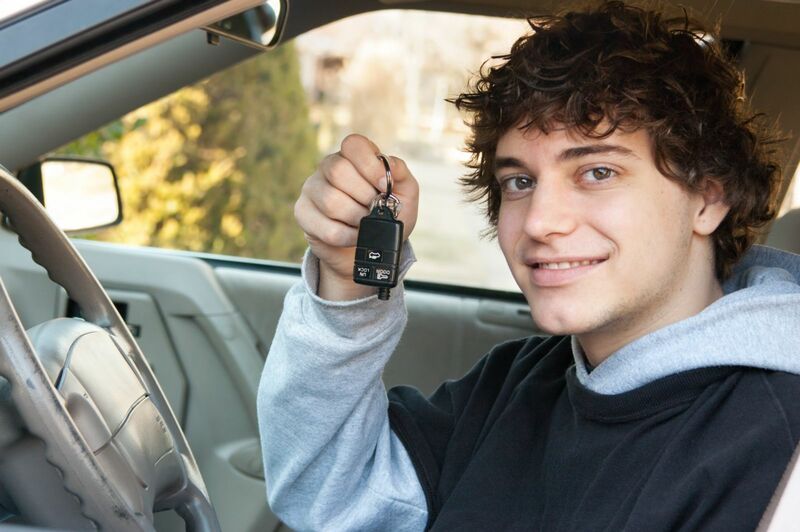 What Are Some Safe Driving Tips for Teen Drivers? Have your teen drive when you are both going to the same place to ensure adherence to safe driving practices. Talk with your child about “house rules” for driving. Involve your teen in the process of creating rules and consequences. Write up the agreed-upon house rules and consequences into a simple contract, which both of you sign. Enforce the contract. If there are no consequences, your teenager will be less likely to take the rules seriously. Practice what you preach. If you text while driving, drive after drinking alcohol, or exceed the speed limit, your child may be more likely to do the same. You are your child’s most influential teacher. Exercise patience, avoid road rage, use your turn signal, hold the wheel correctly, ignore distractions, and do not speed or tailgate. Are Teens More at Risk for Traffic Accidents Than Older Drivers? Yes. Because of their inexperience with driving and their emotional immaturity, teen drivers are less likely to appreciate the danger of traffic hazards. According to the Centers for Disease Control and Prevention, (CDC), teens are more likely to lack the skills to handle hazardous situations or make good decisions in critical scenarios. Teens are more likely to engage in risky behavior behind the wheel, such as speeding, tailgating, failing to wear a seat belt, and driving while impaired by alcohol, drugs, or prescription medications. For example, over half of the teen drivers between the ages of 15 and 20 who died in car crashes after drinking and driving in 2014 were not wearing a seatbelt. Car crashes kill more teenagers in America than disease, illness, violence, or other unintentional injury. Have regular conversations with your teen about the risks of driving and how to avoid accidents. Does Washington State Have Rules for Teen Drivers? Yes. Washington has a graduated driver license (GDL) program. GDL programs around the United States have saved many lives by limiting teens’ access to the road as they learn to drive. Make sure that your child satisfies all the GDL requirements, including an approved driver training course. Depending on your child’s age, Washington has restrictions on passengers, driving alone, nighttime driving, and cell phones (yes, even hands-free) for teen drivers. The state can state suspend the teen’s license until she turns 18 years old if she violates the GDL restrictions. And remember – if your child is not ready to drive, she can always wait to get a license, but be sure she still gets the crucial driver’s education that teen drivers get. Driving is a crucial step toward adulthood and independence. By strategically approaching this essential time in your teen’s life, you can help your teen get through these years to become a safe, responsible driver. If you or your teen driver suffer injuries in an accident that another party causes, call Max Meyers Law at 425-399-7000.